I've been wanting these black amethyst cake stands for years now. Alas, I did not buy them when they were readily available, and I haven't been able to find the set for almost two years now. I tried to convince myself that I didn't really need more cake plates. Silly, silly me. I have wanted these exact plates at least half a dozen times in the past couple years, and I've always regretted not buying them. That's why I was so happy to find these custom cake plates made by Sarah's Stands. They're available up to 22" in diameter, too. Do you know how hard it is to find large cake plates like that?? 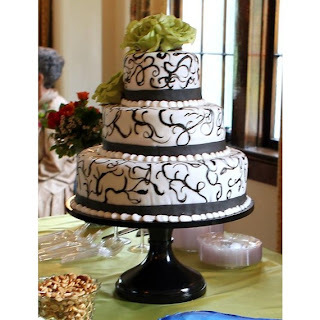 Those large sizes are often needed for wedding cakes, and they are incredibly rare. I would buy one (or more!) 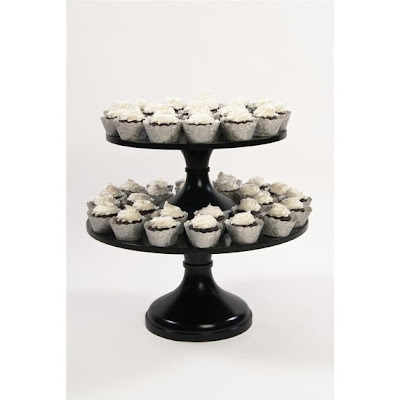 of these gorgeous custom cake stands and use them all the time, but I understand that I'm not like most people. 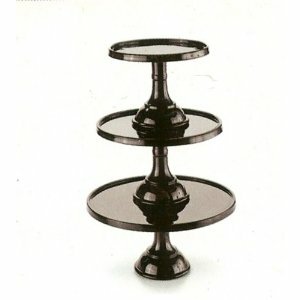 My husband teases me about my cake stand fetish regularly. 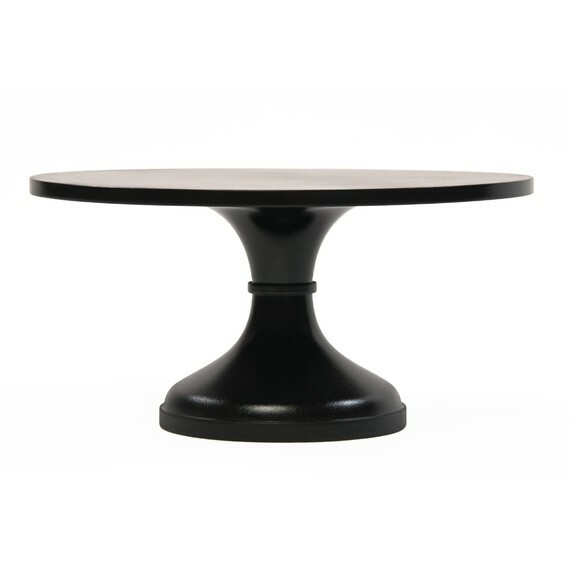 ;-) Love the look but don't want to foot the entire bill for the cake stand? Most cake decorators I know are passionate about great cake stands, too. Send your decorator the link to the shop, and see if it's something he or she would like to have in inventory, and just rent it for your wedding. It's worth asking, at the very least!